Between 1769 and 1773, the young Wolfgang Amadeus Mozart and his father Leopold Mozart made three Italian journeys. The first, an extended tour of 15 months, was financed by performances for the nobility and by public concerts, and took in the most important Italian cities. The second and third journeys were to Milan, for Wolfgang to complete operas that had been commissioned there on the first visit. From the perspective of Wolfgang's musical development the journeys were a considerable success, and his talents were recognised by honours which included a papal knighthood and memberships in leading philharmonic societies. 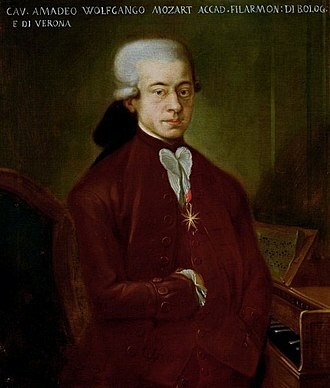 Leopold Mozart had been employed since 1747 as a musician in the Archbishop of Salzburg's court, becoming deputy Kapellmeister in 1763, but he had also devoted much time to Wolfgang's and sister Nannerl's musical education. He took them on a European tour between 1764 and 1766, and spent some of 1767 and most of 1768 with them in the imperial capital, Vienna. The children's performances had captivated audiences, and the pair had made a considerable impression on European society. By 1769, Nannerl had reached adulthood, but Leopold was anxious to continue 13-year-old Wolfgang's education in Italy, a crucially important destination for any rising composer of the 18th century. During the first tour, Wolfgang's performances were well received, and his compositional talents recognised by commissions to write three operas for Milan's Teatro Regio Ducal, each of which was a critical and popular triumph. He met many of Italy's leading musicians, including the renowned theorist Giovanni Battista Martini, under whom he studied in Bologna. Leopold also hoped that Wolfgang, and possibly he himself, would obtain a prestigious appointment at one of the Italian Habsburg courts. This objective became more important as Leopold's advancement in Salzburg became less likely; but his persistent efforts to secure employment displeased the imperial court, which precluded any chance of success. The journeys thus ended not with a triumphant return, but on a note of disappointment and frustration. In November 1766, the Mozart family returned to Salzburg after a three-and-a-half year "grand tour" of the major Northern European cities, begun when Wolfgang was seven and Nannerl twelve. This tour had largely achieved Leopold's objective to demonstrate his children's talents to the wider world and advance their musical education. 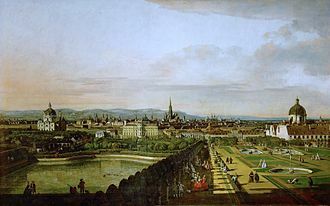 A stay in Vienna beginning in 1767 proved less happy: an outbreak of smallpox, which led to the death of the Archduchess Maria Josepha of Austria, prevented the children from performing in the imperial court and forced the family to seek refuge in Bohemia, a move which did not prevent Wolfgang from contracting the disease. 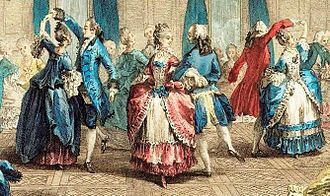 They returned to Vienna in January 1768, but by now the children were no longer young enough to cause a sensation in their public concerts. Leopold fell out with the court impresario Giuseppe Affligio, and damaged his relations with the eminent court composer Christoph Willibald Gluck, through an over-eagerness to secure a performance of Wolfgang's first opera, La finta semplice. As a consequence he developed a reputation at court for being importunate and "pushy". 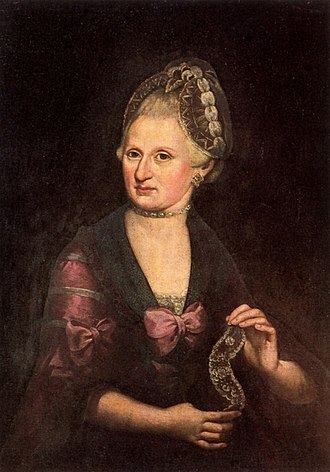 After returning to Salzburg in January 1769, Leopold considered the 18-year-old Nannerl's education to be virtually finished, and focused his efforts on Wolfgang. He decided to take the boy to Italy, which in its pre-unification days was a collection of duchies, republics, and papal states, with the Kingdom of Naples in the south. For more than two centuries Italy had been the source of innovations in musical style, the home of church music, and above all the cradle of opera. In Leopold's view, Wolfgang needed to absorb firsthand the music of Venice, Naples, and Rome, to equip himself for future commissions from Europe's opera houses, "the late eighteenth-century composers' honeypots" according to Mozart's biographer Stanley Sadie. Leopold wanted Wolfgang to immerse himself in the Italian language, to experience church music of the highest quality, and to extend his network of influential acquaintances. There was also the possibility, for both Wolfgang and Leopold, of securing positions in the northern Italian Habsburg courts. With these priorities in mind, Leopold decided that Nannerl and her mother should stay at home, a decision they resented but which made economic and practical sense. In the months before their departure, Wolfgang composed prolifically, gaining the favour of Archbishop Siegmund Christoph von Schrattenbach, who, as Leopold's employer, had to consent to the journey. Permission to travel, along with a gift of 600 florins, was granted in October. Wolfgang was awarded the honorary title of Konzertmeister (court musician), with a hint that on his return this post would merit a salary. Map showing main centres visited during first Italian journey, December 1769 to March 1771. The black line shows the main outward route from Salzburg to Naples. The green line marks detours taken during the return journey. On 13 December 1769, Leopold and Wolfgang set out from Salzburg, armed with testimonials and letters that Leopold hoped would smooth their passage. Among the most important was an introduction to Count Karl Joseph Firmian of Milan, described as the "King of Milan", an influential and cultivated patron of the arts. His support would be vital to the success of the entire Italian undertaking. The pair travelled through Innsbruck, then due south to the Brenner Pass into Italy. They continued through Bolzano and Rovereto to Verona and Mantua, before turning west towards Milan. Leopold's financial plans for the journey were broadly the same as for the family's grand tour—travel and accommodation costs were to be met by concert proceeds. This 350-mile (560 km) winter journey to Milan occupied a difficult and unpleasant six weeks, with the weather forcing extended stops. Leopold complained in his letters home about unheated inn rooms: "... freezing like a dog, everything I touch is ice". Early concert receipts were modest; according to Leopold, costs were running at around 50 florins a week. After having unwisely boasted about profits made from the grand tour, Leopold was now more cautious about revealing financial details. He tended to emphasise his expenses and minimise his takings, writing, for example: "... On the whole we shall not make much in Italy ... one must generally accept admiration and bravos as payment." The longest pause was two weeks spent in Verona, where the press reported glowingly on Wolfgang's concert of 5 January 1770. Father and son attended a performance of Guglielmi's Ruggiero, which Wolfgang wrote about dismissively in a letter to Nannerl. The boy also had his portrait painted by a local artist, Saverio Dalla Rosa. This interlude was followed by a shorter stop in Mantua, where Wolfgang gave a concert at the Accademia Filarmonica, with a programme designed to test his abilities in performance, sight reading, and improvisation. According to a press review the audience was "dumbfounded" at this "miracle in music, one of those freaks that Nature causes to be born". In Mantua, they suffered a snub from Prince Michael of Thurn und Taxis, who informed them through a servant that he had no desire to meet them. Historian Robert Gutman surmises that the Prince, aware of the Affligio affair in Vienna, wanted no dealings with musicians who did not know their place. By contrast, Count Arco, whose family were members of the Salzburg court, received them warmly. The Mozarts arrived in Milan on 23 January and found comfortable lodgings in the monastery of San Marco, not far from Count Firmian's palace. While they waited to see the Count, they attended Niccolò Piccinni's opera Cesare in Egitto. Firmian eventually welcomed them with generous hospitality and friendship, presenting Wolfgang with a complete edition of the works of Metastasio, Italy's leading dramatic writer and librettist. Firmian also hosted a series of concerts attended by many of the city's notables, including Archduke Ferdinand, a possible future patron for the young composer. For the last of these occasions, Wolfgang wrote a set of arias using Metastasio's texts. These were so well received that Firmian commissioned Wolfgang to write the opening opera for the following winter's carnival season in Milan, just as Leopold had hoped he might. Wolfgang would receive a fee of around 500 florins, and free lodgings during the writing and rehearsal. 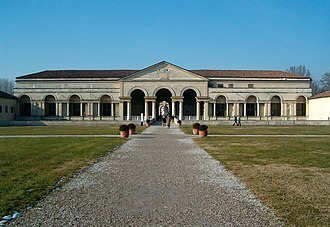 The Mozarts left Milan on 15 March, heading south towards Florence and Rome, committed to return in the autumn and taking with them fresh letters of recommendation from Firmian. Up to this point in the tour Wolfgang appears to have done little composition. The Accademia Filarmonica concert in Mantua had included much improvisation but little of Wolfgang's own music; the only certain compositions from this phase of the tour are the arias composed for the final Firmian concert, which sealed his contract for the carnival opera. These are Se tutti i mali miei, K. 83/73p, Misero me, K. 77/73e, and Ah più tremar ..., K. 71. The Symphony in G, K. 74, evidently completed in Rome in April, may have been started in Milan. Giovanni Battista Martini, known as Padre Martini, tutored Mozart in counterpoint. The first stop on the southward journey was at Lodi, where Wolfgang completed his first string quartet, K. 80/73f. After a few days in Parma, the Mozarts moved on to Bologna, a "centre for masters, artists and scholars", according to Leopold. Their letter from Firmian introduced them to Count Pallavicini-Centurioni, a leading patron of the arts, who immediately arranged a concert for the local nobility in his palace. Among the guests was Giovanni Battista Martini, the leading musical theorist of his day and Europe's most renowned expert in Baroque counterpoint. Martini received the young composer and tested him with exercises in fugue. Always with an eye upon Wolfgang's future prospects in the courts of Europe, Leopold was anxious for engagement with the great master; but time was short, so he arranged a return to Bologna in the summer for extended tuition. The pair left on 29 March, carrying letters from Pallavicini that might clear the way for an audience with Pope Clement XIV in Rome. Before they left, they made the acquaintance of the Czech composer Josef Mysliveček, whose opera La Nitteti was being prepared for performance. Later in 1770, Wolfgang would use the Mysliveček opera as a source of motives for his own opera Mitridate, re di Ponto and various symphonies. More broadly, it marked the beginning of a close association between Mysliveček and the Mozart family that lasted until 1778. 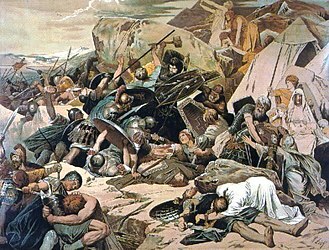 Wolfgang used his works repeatedly as models of compositional style. The next day they arrived in Florence, where Pallavicini's recommendation gained them a meeting at the Palazzo Pitti with the Grand Duke and future emperor Leopold. He remembered the Mozarts from 1768 in Vienna, and asked after Nannerl. In Florence they encountered the violinist Pietro Nardini, whom they had met at the start of their grand tour of Europe; Nardini and Wolfgang performed together in a long evening concert at the Duke's summer palace. Wolfgang also met Thomas Linley, an English violin prodigy and a pupil of Nardini's. The two formed a close friendship, making music and playing together "not as boys but as men", as Leopold remarked. Gutman reports that "a melancholy Thomas followed the Mozarts' coach as they departed for Rome on 6 April". The boys never met again; Linley, after a brief career as a composer and violinist, died in a boating accident in 1778, at the age of 22. 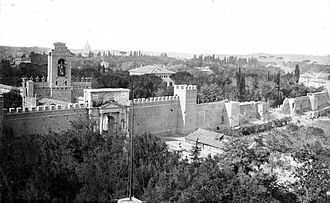 After five days of difficult travel through wind and rain, lodged uncomfortably at inns Leopold described as disgusting, filthy, and bereft of food, they reached Rome. Pallavicini's letters soon had their effect: meetings with the Count's kinsman Lazaro Opizio Cardinal Pallavicino, Prince San Angelo of Naples, and Charles Edward Stuart, known as "Bonnie Prince Charlie", Pretender to the throne of England. There was much sightseeing, and performances before the nobility. The Mozarts visited the Sistine Chapel, where Wolfgang heard and later wrote down from memory Gregorio Allegri's famous Miserere, a complex nine-part choral work that had not been published. Amid these activities, Wolfgang was busily composing. He wrote the contradanse K. 123/73g and the aria Se ardire, e speranza (K. 82/73o), and finished the G major symphony begun earlier. After four busy weeks the Mozarts departed for Naples. Travellers on the route through the Pontine Marshes were frequently harassed by brigands, so Leopold arranged a convoy of four coaches. They arrived on 14 May. Armed with their letters of recommendation, the Mozarts were soon calling on the prime minister, marchese Bernardo Tanucci, and William Hamilton, the British ambassador, whom they knew from London. 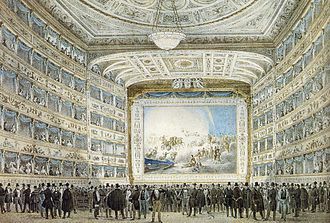 They gave a concert on 28 May, which brought in about 750 florins (Leopold would not reveal the exact amount), and attended the first performance of Niccolò Jommelli's opera Armida abbandonata at the Teatro di San Carlo. Wolfgang was impressed by both the music and the performance, though he felt it "too old-fashioned and serious for the theatre". Invited to write an opera for the next San Carlo season, he declined because of his prior commitment to Milan. When no summons to play at the royal court was forthcoming, Leopold eventually decided to leave Naples, after visits to Vesuvius, Herculaneum, Pompeii, and the Roman baths at Baiae. They departed by post-coach for Rome on 25 June. The Mozarts visited Santa Casa, Loreto, in July 1770. The party made a rapid 27-hour return trip to Rome; in the process, Leopold sustained a leg injury that troubled him for several months. Wolfgang was granted an audience with the Pope, and was made a knight of the Order of the Golden Spur. From Rome they made their way to the famous Santa Casa pilgrimage site at Loreto, and took the coastal road to Rimini—under military protection, because the road was subject to attacks from marauding pirates. From Rimini they moved inland, and reached Bologna on 20 July. Leopold's priority was to rest his leg. Wolfgang passed the time by composing a short minuet, K. 122/73t, and a Miserere in A minor, K. 85/73s. Meanwhile, the libretto for the Milan opera arrived; Leopold had been expecting Metastasio's La Nitteti, but it was Mitridate, re di Ponto, by Vittorio Cigna-Santi. According to the correspondence of Leopold, the composer Josef Mysliveček was a frequent visitor to the Mozart household while they were staying in Bologna. The musicologist Daniel E. Freeman believes that Mozart's approach to the composition of arias changed fundamentally at this time, bringing his style into closer alignment with that of Mysliveček. Leopold and Wolfgang moved into Count Pallavicini's palatial summer residence on 10 August, and stayed for seven weeks while Leopold's leg gradually improved and Wolfgang worked on the Mitridate recitatives. At the beginning of October, with Leopold more or less recovered, they moved back to Bologna, and Wolfgang, it is thought, began his period of study under Martini. On 9 October he underwent examination for membership in Bologna's Accademia Filarmonica, offering as his test piece the antiphon Quaerite primum regnum, K. 86/73v. According to Gutman, under ordinary circumstances Wolfgang's "floundering" attempt at this unfamiliar polyphonic form would not have received serious consideration, but Martini was at hand to offer corrections, and probably also paid the admission fee. 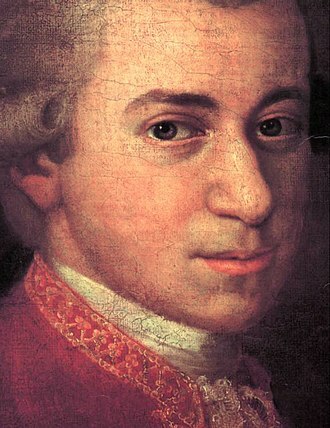 Wolfgang's membership was duly approved; and the Mozarts departed for Milan shortly afterwards. The journey from Bologna to Milan was delayed by storms and floods, but Leopold and his son arrived on 18 October, ten weeks before the first performance of Mitridate. Wolfgang's fingers ached from writing recitatives, and in any case he could not begin work on the arias until the singers were present, collaboration with the principal performers being the custom for composers of the time. As the singers assembled, problems arose. Quirino Gasparini, composer of an earlier version of Mitridate, tried to persuade the prima donna Antonia Bernasconi to use his settings for her arias, but met with failure. "Thank God", Leopold wrote, "that we have routed the enemy". However, the principal tenor, Guglielmo d'Ettore, made repeated requests for his arias to be rewritten, and sang one of Gasparini's settings in Act 3, an insertion that survives in the published score of the opera. The Church of Santa Maria alla Scala, Milan, was demolished in 1788 to provide a site for the La Scala opera house, after the nearby Teatro Regio Ducal burned down. Rehearsals began on 6 December. Wolfgang's mastery of Italian diction was revealed as the recitatives were practised, and a run-through of the instrumental score displayed his professionalism. Leopold wrote home: "An awful lot of this undertaking, blessed be God, is safely over, and, God be praised, once more with honour!" On 26 December, at the Teatro Regio Ducal (Milan's great opera house at the time), Wolfgang directed the first public performance from the keyboard, dressed for the occasion in a scarlet coat lined with blue satin and edged with gold. The occasion was a triumph: the audience demanded encores and at the conclusion cried "Evviva il maestro!" (Long live the master!). The opera ran for 22 performances, and the Gazetta di Milano praised the work handsomely: "The young maestro di capella, who is not yet fifteen years of age, studies the beauties of nature, and represents them adorned with the rarest musical graces." The arias sung by Bernasconi "vividly expressed the passions and touched the heart". Subsequent reactions to the opera proved less effusive; there are no records of further performances of Mitridate before its revival in Salzburg in 1971. Having fulfilled his major obligation for his first trip to Italy by completing the opera Mitridate, Wolfgang gave a concert at Firmian's palace on 4 January 1771. A few days later, news arrived that Wolfgang had been granted membership in the Accademia Filarmonica of Verona. On 14 January they departed for a two-week sojourn in Turin, where they met many of the leading Italian musicians: the distinguished violinist Gaetano Pugnani, his 15-year-old prodigy pupil Giovanni Battista Viotti, and the composer Giovanni Paisiello whose opera Annibale in Torino Leopold declared to be magnificent. They returned to Milan for a farewell lunch with Firmian before their departure for Salzburg on 4 February. On their way back to Salzburg Leopold and Wolfgang stayed for a while at Venice, pausing on their way at Brescia to see an opera buffa. While in Venice, Leopold used his letters of introduction to meet the nobility and to negotiate a contract for Wolfgang to write an opera for the San Benedetto theatre. Wolfgang gave several concerts and perhaps played at Venice's famed ospidali—former orphanages which became respected music academies. The Mozarts were received generously, but Leopold appeared dissatisfied. "The father seems a shade piqued", wrote a correspondent to the Viennese composer Johann Adolph Hasse, adding: "... they probably expected others to seek after them, rather than they after others". Hasse replied: "The father, as I see the man, is equally discontent everywhere". Leaving Venice on 12 March, the Mozarts journeyed to Padua, where during a day of sightseeing Wolfgang was commissioned by Don Giuseppe Ximenes, Prince of Aragon, to compose an oratorio for the city. 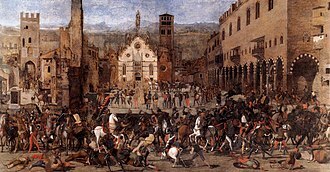 The history of La Betulia Liberata ("The Liberation of Bethulia") is obscure—it may not have been performed in Padua, or at all in Wolfgang's lifetime. In Verona, a few days later, he received further commissions. Wolfgang was to compose a serenata (or one-act opera) to be performed in Milan in October 1771 for the wedding of the Archduke Ferdinand and his bride Princess Beatrice of Modena. At the same time the young composer was engaged to undertake another Milan carnival opera, for the 1772–73 season, at an increased fee. This created a conflict of dates which prevented Wolfgang from proceeding with the San Benedetto contract. Thereafter, father and son sped northward, arriving home in Salzburg on 28 March 1771. In his review of this first Italian journey, Maynard Solomon's analysis of the meagre financial information provided by Leopold indicates that the Mozarts made a substantial profit—perhaps as much as 2,900 florins. The pair had also been accorded wide recognition, moving among the highest Italian nobility. Aside from being honoured by the Pope, Wolfgang had been admitted to the academies of Bologna and Verona, and had studied with Martini. Solomon calls the tour Leopold's "finest hour and ... perhaps his happiest". Empress Maria Theresa's dismissive letter ended Leopold's hopes of an appointment in one of the Habsburg courts. In August 1771 Leopold and Wolfgang set out once more for Milan, to work on the serenata—which had by this time evolved into the full-length opera Ascanio in Alba . On arrival they shared their lodgings with violinists, a singing-master, and an oboist: a ménage that was, as Wolfgang wrote jestingly to Nannerl, "... delightful for composing, it gives you plenty of ideas!" Working at great speed, Wolfgang finished Ascanio just in time for the first rehearsal on 23 September. Ascanio was expected to be the lesser of the works for the wedding celebration, second to Hasse's opera Ruggiero. However, the 72-year-old Hasse was out of touch with current theatrical tastes, and although his opera was praised by the Empress Maria Theresa, its overall reception was lukewarm, especially compared to the triumphant success of Ascanio. Leopold expressed delight at this turn of events: "The archduke has recently ordered two copies", he wrote home. "All the noblemen and other people constantly address us in the street to congratulate Wolfgang. In short! I'm sorry, Wolfgang's Serenata has so crushed Hasse's opera that I can't describe it." Hasse was gracious about his eclipse, and is said to have remarked that the boy would cause all others to be forgotten. The Mozarts were free to leave Milan early in November, but they stayed another month because Leopold hoped that the success of Ascanio would lead to an appointment for Wolfgang from a royal patron. He apparently solicited Archduke Ferdinand on 30 November, and his request was passed on to the imperial court in Vienna. It is possible that Leopold's pushiness in Vienna over La finta semplice still rankled, or that word of his crowing over Hasse's failure had reached the Empress. For whatever reason, Maria Theresa's reply to the archduke was unequivocal, describing the Mozarts as "useless people" whose appointment would debase the royal service, and adding that "such people go around the world like beggars". Leopold never learned this letter's contents; by the time it reached Milan the Mozarts had left, disappointed but still hopeful. "The matter is not over; I can say that much", Leopold wrote as he and Wolfgang made their way home. Despite the hectic schedule during this short visit, Wolfgang still found time to write his Symphony in F, K. 112 (No. 13). He contrived a further symphony from the Ascanio overture, by adding a finale to the two existing movements. Another symphony, K. 96/111b, in C major, is sometimes allocated to this visit to Milan, but it is not certain when (or indeed whether) Wolfgang actually wrote it. Hieronymus Count Colloredo, the new Archbishop of Salzburg, dashed Leopold's hopes for promotion. The day after Leopold and Wolfgang arrived back in Salzburg the court was thrown into turmoil by the death of Archbishop Schrattenbach. This created problems for Leopold, who had unresolved issues with the court. Part of his salary during the second Italian visit had been stopped, and Leopold wished to petition for its payment, and to pursue the matter of Wolfgang's salary as a Konzertmeister, which Schrattenbach had indicated might be paid on Wolfgang's return from the first Italian journey. There was also the matter of succession to the post of Salzburg's Kapellmeister, to be available soon on the pending retirement of the incumbent, Giuseppe Lolli, who was over 70 years old; Leopold, who had followed Lolli as Vice-Kapellmeister, might normally have felt confident of succeeding him to the higher post. Decisions on these matters would now be made by the new archbishop, whose policies and attitudes were unknown. On 14 March 1772, amid various political machinations, Count Hieronymus von Colloredo was elected to the archbishopric as a compromise candidate acceptable to the imperial court in Vienna. Although unpopular among Salzburgers, this appointment appeared at first to be to the Mozarts' advantage: Leopold's withheld salary was paid, and on 31 August Colloredo authorised the payment of Wolfgang's Konzertmeister salary. However, the new archbishop began to look for someone outside the Salzburg court to be his new Kapellmeister. Eventually, he chose the Italian Domenico Fischietti, who was several years younger than Leopold. Realising that his chances of promotion had probably been irrevocably lost, Leopold turned his hopes for a comfortable old age towards Wolfgang, giving new urgency to the third Italian journey which began in October 1772. Leopold I, Grand Duke of Tuscany, with his family. The Grand Duke was Leopold's last hope of a royal appointment for Wolfgang. In October 1772 Leopold and Wolfgang returned to Milan to work on the carnival opera that had been commissioned at the end of the first journey. The text was Lucio Silla, revised by Metastasio from an original by Giovanni de Gamerra. Wolfgang found himself in the familiar routine of composing rapidly while coping with problems such as the late arrival of singers and the withdrawal of the principal tenor due to illness. Leopold reported on 18 December that the tenor had arrived, that Wolfgang was composing his arias at breakneck speed, and that rehearsals were in full swing. The first performance, on 26 December, was chaotic: its start was delayed two hours by the late arrival of Archduke Ferdinand, there were quarrels among the principal performers, and the running time was extended by the insertion of ballets (a common practice of the time), so the performance was not over until two o'clock the following morning. Despite this, subsequent performances were well received. Leopold wrote on 9 January 1773 that the theatre was still full, and that the premiere of the season's second opera, Giovanni Paisiello's Sismano nel Mogul, had been postponed to allow Wolfgang's piece a longer run—26 performances in all. Such success for the new work seems to have been fleeting; but during the next few years the libretto was reset by several different composers, including Wolfgang's London mentor Johann Christian Bach. Leopold, unaware of the Empress's views, continued to pursue an appointment for Wolfgang by applying to Grand Duke Leopold I of Tuscany, the Empress's third son. 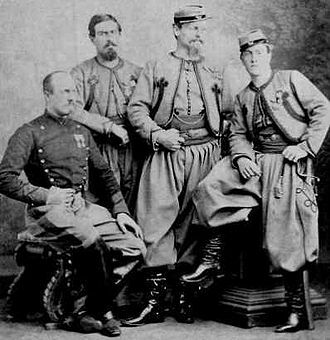 The application was strongly supported by Count Firmian, and Leopold, in a coded letter home, said he was quite hopeful. While the Mozarts waited for a reply, Wolfgang composed a series of "Milanese" string quartets (K. 155/134a to K. 160/159a), and the famous motet Exsultate, jubilate, K. 165. Leopold resorted to deception to explain his extended stay in Milan, claiming to be suffering from severe rheumatism that prevented his travelling. His ciphered letters to his wife Anna Maria assure her that he is in fact well, but urge her to spread the story of his indisposition. He waited through most of January and all of February for the Grand Duke's reply. The negative response arrived on 27 February. It is not known whether the Grand Duke was influenced by his mother's opinion of the Mozart family, but his rejection effectively ended Leopold's hope of an Italian appointment for Wolfgang. The Mozarts had no choice now but to return to Salzburg, leaving Milan on 4 March and reaching home nine days later. Neither father nor son visited Italy again. Maynard Solomon summarises the Italian journeys as a great triumph, but suggests that from Leopold's standpoint they also incorporated a great failure. The Mozarts had certainly profited financially, and Wolfgang had developed artistically, into a recognised composer. Although the Mozarts' reception had not been uniformly cordial—they had been cold-shouldered by the Neapolitan court and the Prince of Thurn and Taxis had snubbed them—the Italians had generally responded with enthusiasm. Wolfgang had been received and knighted by the Pope; he had been granted membership in leading philharmonic societies and had studied with Italy's greatest music scholar, Giovanni Martini. Above all, he had been accepted as a practitioner of Italian opera by a leading opera house, completing three commissions that resulted in acclaimed performances. Other compositions resulted from the Italian experience, including a full-scale oratorio, several symphonies, string quartets, and numerous minor works. The failure was Leopold's inability, despite his persistence, to secure a prestigious appointment either for himself or for Wolfgang. Leopold was evidently unaware of the negative light in which he was generally viewed; he did, however, perceive that there was some intangible barrier to his Italian ambitions, and eventually recognised that he could not overcome whatever forces were arrayed against him. In any event, Wolfgang's Italian triumphs proved short-lived; despite the critical and popular successes of his Milan operas, he was not invited to write another, and there were no further commissions from any of the other centres he had visited. With all hopes of an Italian court appointment gone, Leopold sought to secure the family's future by other means: "We shall not go under, for God shall help us. I have already thought out some plans." Wolfgang was qualified by his skills at the keyboard and violin, and by his compositional experience, for a post as Kapellmeister; but at 17 he was too young. He therefore remained in Colloredo's employ at the Salzburg court, increasingly discontent, until his dismissal from the Archbishop's retinue during its stay in Vienna, in 1781. Leopold, unpromoted from his rank of vice-Kapellmeister, remained with the court until his death in 1787. ^ The florin, or gulden, was the currency of the Austro-Hungarian Empire. A florin was worth about one tenth of a pound sterling. The generosity of the gift is apparent in comparison with Leopold's annual salary of 354 florins (Sadie (2006), p. 35). ^ The routes are summarised from Sadie's detailed descriptions, (2006) pp. 179–233. ^ A different Count Arco of the same family administered the "kick in the arse" that ended Wolfgang's appointment in the Salzburg court 10 years later. Gutman, pp. 548–49. ^ "K" refers to the catalogue of Mozart's works, completed in 1862 by Ludwig von Köchel and revised several times. Where two K numbers are given, the first is the number in the original catalogue, and the second the number in the most recent revision (1964). See Sadie (2006), pp. 613–21, also Zaslaw, pp. 558–61. ^ New insights into Mysliveček's rapport with the Mozart family during their trips to Italy are presented in Giuseppe Rausa, "Mysliveček e Mozart: stranieri in Italia," in Il ciel non soffre inganni: Attorno al Demetrio di Mysliveček, 'Il Boemo', edited by Mariateresa Dellaborra (Lucca: Libreria Musicale Italiana, 2011), 45–82. ^ Tuscany was a Habsburg grand duchy and like Lombardy had a ruler connected with the imperial court in Vienna. ^ Gutman (p. 283) and Sadie (2006, p. 211) say that there is no reference to these lessons in Leopold's correspondence. ^ Halliwell, pp. 153–54: "The first hurdle to be overcome was that of pleasing the singers." ^ Halliwell, p. 166. Other sources report this wording differently, but the sentiment is the same. ^ Osborne (p. 82) notes that the work was timed to last four hours without the ballets, and that the tempi must therefore have been very leisurely, though no doubt many of the arias were encored. ^ Leopold's letters home were in part for public consumption, and would have circulated around Salzburg. They were also subject to censorship (Gutman, p. 11). Private messages to Anna Maria were encrypted. ^ "Wolfgang's universal artistic development would have been unimaginable without these journeys." Grove, Vol. 12 p. 676. ^ See Sadie (2006), pp. 202–07, pp. 250–56 and pp. 292–95 for details of works composed in Italy. Some may have been finished or worked on in Salzburg between journeys, or after the final return home. Blom, Eric (1935). 'Mozart' (Master Musicians series). 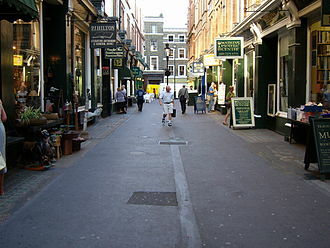 London: J.M. Dent. Freeman, Daniel E. (2009). Josef Mysliveček, "Il Boemo". Sterling Heights, Mich.: Harmonie Park Press. ISBN 978-0-89990-148-0. Glover, Jane (2005). Mozart's Women. London: Macmillan. ISBN 1-4050-2121-7. Gutman, Robert W. (1999). Mozart: A Cultural Biography. San Diego: Harcourt. ISBN 0-15-601171-9. Halliwell, Ruth (1998). The Mozart Family: Four Lives in a Social Context. Oxford: Oxford University Press. ISBN 0-19-816371-1. Hildesheimer, Wolfgang (1985). Mozart. London: J.M. Dent. ISBN 0-460-02401-9. Kenyon, Nicholas (2006). The Pegasus Pocket Guide to Mozart. New York: Pegasus Books. ISBN 1-933648-23-6. Osborne, Charles (1992). The Complete Operas of Mozart. London: Victor Gollancz. ISBN 0-575-03823-3. Roberts, John Morris (1980). The Pelican History of the World. London: Penguin Books. ISBN 0-14-022101-8. Rushton, Julian (2006). Mozart. New York: Oxford University Press. ISBN 0-19-518264-2. Sadie, Stanley (2006). 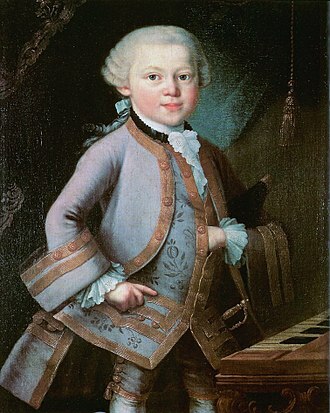 Mozart: The Early Years, 1756–1781. New York: W.W. Norton & Co. ISBN 0-393-06112-4. Sadie, Stanley, ed. (1980). The New Grove Dictionary of Music and Musicians. 12. London: Macmillan. ISBN 0-333-23111-2. Solomon, Maynard (1995). Mozart: A Life. London: Hutchinson. ISBN 0-09-174704-X. Zaslaw, Neal (1991). Mozart's Symphonies: Context, Performance Practice, Reception. Oxford: Clarendon Press. ISBN 0-19-816286-3. "Köchel's catalogue of Mozart's works". Classical.net. Retrieved 27 October 2008. The Monarchy was a composite state composed of territories within and outside the Holy Roman Empire, united only in the person of the monarch. The dynastic capital was Vienna, except from 1583 to 1611, from 1804 to 1867 the Habsburg Monarchy was formally unified as the Austrian Empire, and from 1867 to 1918 as the Austro-Hungarian Empire. 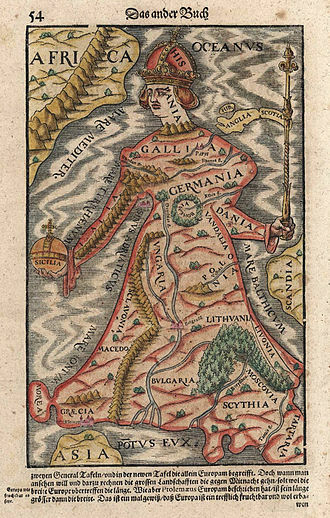 The two entities were never coterminous, as the Habsburg Monarchy covered many lands beyond the Holy Roman Empire, the monarchy had no official name. The entity had no official name, Austrian Empire, This was the official name. Note that the German version is Kaisertum Österreich, i. e. the English translation empire refers to a territory ruled by an emperor, Austria-Hungary, This was the official name. An unofficial popular name was the Danubian Monarchy often used was the term Doppel-Monarchie meaning two states under one crowned ruler, Crownlands or crown lands, This is the name of all the individual parts of the Austrian Empire, and of Austria-Hungary from 1867 on. The Hungarian parts of the Empire were called Lands of the Holy Hungarian Crown of Saint Stephen or Lands of Holy Stephens Crown, the Bohemian Lands were called Lands of the St. Wenceslaus Crown. Burgenland came to Austria in 1921 from Hungary, Salzburg finally became Austrian in 1816 after the Napoleonic wars. Vienna, Austrias capital became a state January 1,1922, after being residence and Lower Austria, were split into Austria above the Enns and Austria below the Enns. Upper Austria was enlarged after the Treaty of Teschen following the War of the Bavarian Succession by the so-called Innviertel, formerly part of Bavaria. Hereditary Lands or German Hereditary Lands or Austrian Hereditary Lands, In a narrower sense these were the original Habsburg Austrian territories, i. e. basically the Austrian lands, in a wider sense the Lands of the Bohemian Crown were included in the Hereditary lands. The term was replaced by the term Crownlands in the 1849 March Constitution, within the Habsburg Monarchy, each province was governed according to its own particular customs. Innsbruck is the capital city of Tyrol in western Austria. It is located in the Inn valley, at its junction with the Wipp valley, Innsbruck lies about halfway between Munich in Germany and Verona in Italy. Located in the valley between high mountains, the so-called North Chain in the Karwendel Alps to the north. Innsbruck is an internationally renowned winter sports centre, and hosted the 1964 and 1976 Winter Olympics as well as the 1984 and 1988 Winter Paralympics, Innsbruck hosted the first Winter Youth Olympics in 2012. The name translates as Inn bridge, earliest traces suggest initial inhabitation in the early Stone Age. 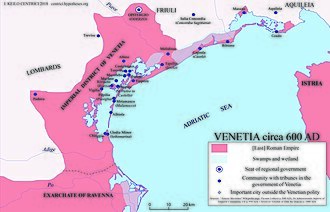 Surviving pre-Roman place names show that the area has been populated continuously, in the 4th century the Romans established the army station Veldidena at Oenipons, to protect the economically important commercial road from Verona-Brenner-Augsburg in their province of Raetia. The first mention of Innsbruck dates back to the name Oeni Pontum or Oeni Pons which is Latin for bridge over the Inn, the Counts of Andechs acquired the town in 1180. In 1248 the town passed into the hands of the Counts of Tyrol, the citys arms show a birds-eye view of the Inn bridge, a design used since 1267. 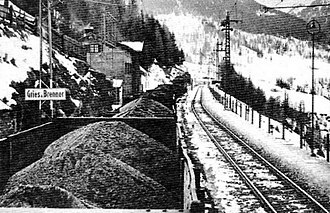 The route over the Brenner Pass was a major transport, the revenues generated by serving as a transit station enabled the city to flourish. Innsbruck became the capital of all Tyrol in 1429 and in the 15th century the city became a centre of European politics, the city benefited from the emperors presence as can be seen for example in the Hofkirche. Here a funeral monument for Maximilian was planned and erected partly by his successors, the ensemble with a cenotaph and the bronze statues of real and mythical ancestors of the Habsburgian emperor are one of the main artistic monuments of Innsbruck. A regular postal service between Innsbruck and Mechelen was established in 1490 by the Thurn-und-Taxis-Post, in 1564 Ferdinand II, Archduke of Austria received the rulership over Tirol and other Further Austrian possessions administrated from Innsbruck up to the 18th century. Lodi is a city and comune in Lombardy, northern Italy, on the right bank of the River Adda. 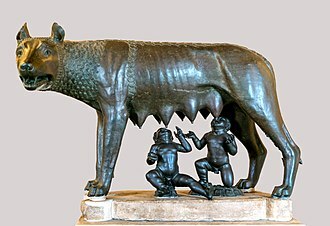 It is the capital of the province of Lodi, Lodi was a Celtic village, in Roman times it was called in Latin Laus Pompeia and was known because its position allowed many Gauls of Gallia Cisalpina to obtain Roman citizenship. It was in an important position where a vital Roman road crossed the River Adda, Lodi became the see of a diocese in the 3rd century and its first bishop, Saint Bassianus is the patron saint of the town. 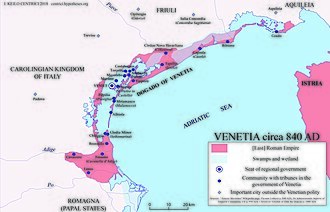 A free commune around 1000, it resisted the Milanese. The old town corresponds to the modern Lodi Vecchio, frederick Barbarossa rebuilt it on its current location in 1158. 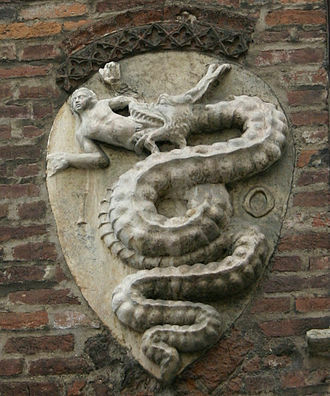 Starting from the 14th century Lodi was ruled by the Visconti family, in 1423, the antipope John XXIII launched the bull by which he convened the Council of Constance from the Duomo of Lodi. The council would mark the end of the Great Schism, the town was ruled by the Sforza family, France and Austria. In 1786 it became the capital of a province that between 1815 and 1859 would have included Crema. On 10 May 1796, in the first major battle of his career as a general, Piazza della Vittoria, listed by the Italian Touring Club among the most beautiful squares in Italy. 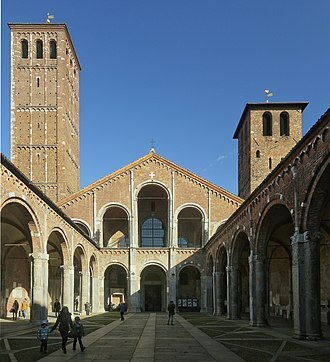 Featuring porticoes on all its four sides, it includes the Basilica della Vergine Assunta, Piazza Broletto, with a Verona marble baptismal font dating to the 14th century. Beata Vergine Incoronata, Church in style of Lombard Renaissance, San Francesco - Gothic-style church built in 1280-1307. San Lorenzo, church with frescoes by Callisto Piazza, the original Romanesque structure was replaced in the 18th century. The interior has frescoes by Carlo Innocenzo Carloni and a Deposition attributed to Robert De Longe, santAgnese church in Lombard Gothic style. It includes the Galliani Polyptych by Albertino Piazza, and has, on the façade, San Filippo, Rococo-style church Palazzo Vescovile, of medieval origin but rebuilt in the 18th century. San Cristoforo, church designed by Pellegrino Tibaldi, Visconti Castle, a medieval castle now partially destroyed. Giovanni Battista or Giambattista Martini, O. F. M. Conv. known as Padre Martini, was an Italian Conventual Franciscan friar, giovanni Battista Martini was born in Bologna, in that era part of the Papal States. In 1725, though only 19 years old, he received the appointment of chapel-master at the Basilica of San Francesco in Bologna, Martini was a zealous collector of musical literature, and possessed an extensive musical library. Burney estimated it at 17,000 volumes, after Martinis death a portion of it passed to the Imperial library at Vienna, most contemporary musicians speak of Martini with admiration, and Leopold Mozart consulted him with regard to the talents of his son, Wolfgang Amadeus Mozart. The latter went on to write the friar in very effusive terms after a visit to the city. The Abbé Vogler, makes reservations in his praise, condemning his philosophical principles as too much in sympathy with those of Fux and his Elogio was published by Pietro della Valle at Bologna in the same year. In 1758 Martini was invited to teach at the Accademia Filarmonica di Bologna, the greater number of Martinis mostly sacred compositions remain unprinted. Litaniae atque antiphonae finales B. V. Mariae were published at Bologna in 1734, as twelve Sonate dintavolalura, six Sonate per lorgano ed il cembalo in 1747, Martinis most important works are his Storia della musica and his Esemplare di contrappunto. Some of these are difficult, but all were solved by Luigi Cherubini. The Esemplare is a learned and valuable work, containing an important collection of examples from the best masters of the old Italian and Spanish schools and it treats chiefly of the tonalities of the plain chant, and of counterpoints constructed upon them. 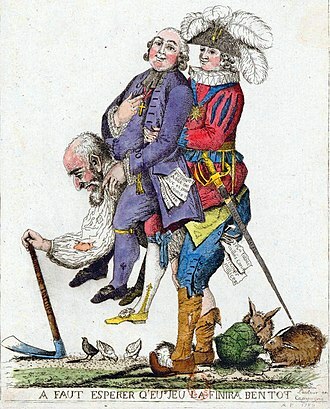 His celebrated canons, published in London, about 1800, edited by Pio Cianchettini, professor Peter Schickele, in his satirical study of the life of the fictitious P. D. Q. Bachs second phase of life, the period, was shaped in part by Padre Martini. This article incorporates text from a now in the public domain, Hugh. She was the daughter of Francis I, Holy Roman Emperor and Maria Theresa of Austria, Holy Roman Empress. She died of smallpox at the age of 16 and was buried in the Imperial Crypt, born on 19 March 1751, Maria Josepha was the ninth but sixth surviving daughter of Francis I, Holy Roman Emperor and Maria Theresa, Queen of Hungary and Bohemia. She lost that position in May 1767 when her older brother Archduke Joseph married to a second cousin, Empress Maria Theresa wanted to marry her fourth eldest surviving daughter, Archduchess Maria Amalia, to Ferdinand of Naples and Sicily for political reasons. She and Ferdinand were the age, and better yet, Maria Josepha was considered delightfully pretty, pliant by nature. Maria Josepha had been terrified of dying of smallpox ever since the death of her older sister Archduchess Maria Johanna Gabriela in 1762. Her fears were realised when she died of smallpox on the day she was to have left Vienna for her journey across the Alps to marry Ferdinand. However, the rash appeared two days after Maria Josepha visited the vault, and there is a period of about one week after initial infection before symptoms of a rash appear. Christoph Willibald Gluck was a composer of Italian and French opera in the early classical period. With a series of new works in the 1760s, among them Orfeo ed Euridice and Alceste. The strong influence of French opera in these works encouraged Gluck to move to Paris, fusing the traditions of Italian opera and the French national genre into a new synthesis, Gluck wrote eight operas for the Parisian stages. One of the last of these, Iphigénie en Tauride, was a success and is generally acknowledged to be his finest work. Gluck was born on 2 July 1714 in Erasbach near Neumarkt and his father Alexander was a forester in Erasbach, and after 1717 head forester in Reichstadt and Eisenberg, all in northern Bohemia. According to some biographers, it was here, in the middle of Lusatian Mountains, in 1727 the family moved to Eisenberg, where his father was admitted to the service of Prince Philip Hyazinth von Lobkowitz. The Alsatian painter Johann Christian von Mannlich says it was as a Bohemian schoolboy that Gluck received his first musical training. Mannlich relates in his memoirs, written in French and published in 1810 and he quotes Gluck as saying, My father was forestmaster at M. in Bohemia and he planned that eventually I should succeed him. In my homeland everyone is musical, music is taught in the schools, as I was passionate about the art, I made rapid progress. I played several instruments and the schoolmaster, singling me out from the other pupils, I no longer thought and dreamt of anything but music, the art of forestry was neglected. 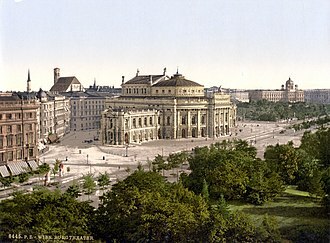 Most now claim that the object of Glucks travels was not Vienna but Prague, at the time the University of Prague boasted a flourishing musical scene that included performances of both Italian opera and oratorio. Gluck eventually left Prague without taking a degree, and vanishes from the record until 1737. According to the music historian Daniel Heartz, there has been considerable controversy concerning Glucks native language, Glucks first biographer, Anton Schmid, accepted that Gluck spoke Czech, but thought Salieri incorrect, proposing instead that Gluck learned Czech in Prague. Pietro Antonio Domenico Trapassi, better known by his pseudonym of Pietro Metastasio, was an Italian poet and librettist, considered the most important writer of opera seria libretti. Metastasio was born in Rome, where his father, Felice Trapassi, Felice married a Bolognese woman, Francesca Galasti, and became a grocer in the Via dei Cappellari. 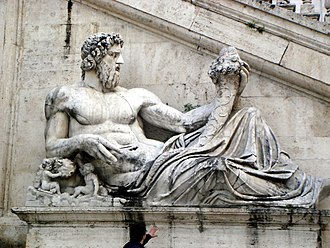 The couple had two sons and two daughters, Pietro was the younger son, while still a child, is said to have attracted crowds by reciting impromptu verses on a given subject. Gravina was attracted by the poetic talent and personal charm. Felice Trapassi was glad to give his son the chance of an education and introduction into society. Gravina hellenized the boys name Trapassi into Metastasio, and intended his son to be a jurist like himself. 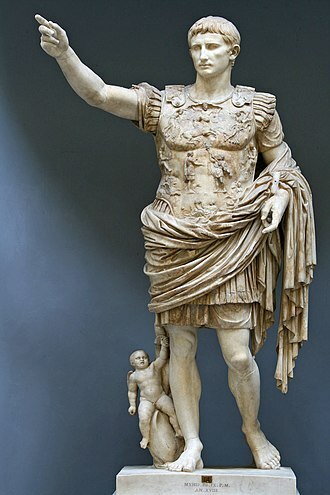 He therefore made the boy learn Latin and law, at the same time he cultivated his literary gifts, and displayed the youthful prodigy both at his own house and in the Roman coteries. Metastasio soon found himself competing with the most celebrated improvvisatori of his time in Italy, his days full of study and evenings devoted to improvising poetry took a toll on Pietros health. 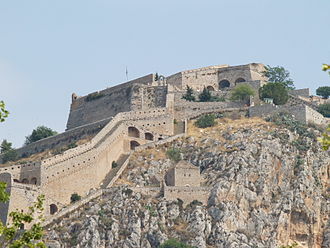 Gravina, making a trip to Calabria, exhibited Metastasio in the literary circles of Naples. In country air and the quiet of the southern seashore Metastasios health revived, Gravina decided that he should never improvise again, but should be reserved for nobler efforts, having completed his education, he might enter into competition with the greatest poets. Metastasio responded to his patrons wishes, at the age of twelve he translated the Iliad into octave stanzas, and two years he composed a Senecan tragedy on a subject from Gian Giorgio Trissinos Italia liberata – Gravinas favourite epic. It was called Giustino, and was printed in 1713, forty-two years later, Caroprese died in 1714, leaving Gravina his heir, and in 1718 Gravina died. Metastasio inherited a fortune of 15,000 scudi, at a meeting of the Arcadian Academy, he recited an elegy to his patron, and settled down to enjoy his wealth. During the last four years he had worn the costume of abbé and his romantic history, personal beauty, charming manners and distinguished talents made him fashionable. Marie Antoinette, aged 7, in 1763, when she met Mozart in Vienna. House in Erasbach, constructed in 1713 by Gluck's father, where many believe the composer was born. View of Palazzo della Pilotta in the Piazza della Pace. The rebuilt part on the right is where once was the church of St.Peter. The large hole was caused by an Allies bombing. 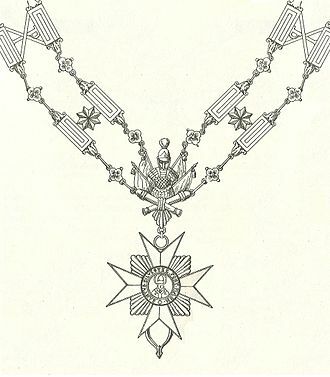 Livery collar of the Order of Saint Sylvester and the Golden Militia prior to 1905. Medal of the Order of Saint Sylvester and the Golden Militia, 1841. The Battle of Lodi, by Louis-François, Baron Lejeune. The first edition of Leopold Mozart's Violinschule included this portrait of the author. Some aspects of violin playing in his day can be seen: the lightweight, concave bow and the absence of any chin rest or shoulder rest.